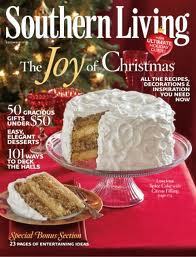 Summer is in full swing, but Southern Living is dreaming of a white Christmas. The magazine is announcing a cover contest challenging readers to create their rendition of a white cake — and the winning recipe will grace the cover of the December issue of Southern Living and win $1,000. Two Runners Up will receive $500 and will have their recipes featured in magazine’s dessert story in December. Here’s how to enter: Start with one of Southern Living’s five favorite holiday cake batters listed on the Web site, add your own snowy white finishing touches — fill it, frost it, make it fabulous! Deadline for entries is Sunday, July 31st. Southern Living is my absolute, hands down, unbiased, wholly uncompensated favorite, umm, recipe maker uppers. However, I won't be entering this contest because I ain't got the touch for cakes. I can eat them without issue, it's just making them that causes a problem. I shall go now and hang my head in deep abiding shame and disgrace...or try to channel my grandmother for help.